Web Design Is Mobile Design– Previously, the idea was to transform a site’s desktop design so that it could be used on a mobile device. Over time, experts have attempted mobile first design. Designers sometimes put mobile CSS statements higher in the document, but they probably still thought of the site as its desktop version. But for 2017, such ideas are taking a backseat. For many online stores, most site visitors will now use mobile devices to shop. Material Design’s Influence Grows– This is yet another trend that has come into fourth. It is found that most of the online stores have adopted card-like layouts which are central to Material Designs and responsive animations and transitions. This is also an integral part of Material Design and these will only continue in 2017. Web developers India are very keen on adopting this trend and applying them as much as possible. Hamburgers on the Left– This is a very subtle change but is featuring in the top trend list. Hamburger menus are moving to the left. If a web designer used the Bootstrap framework and followed the Bootstrap 3 Navbar, for example, that design tended to end up with a hamburger menu on the right side of the navigation. Lots of websites followed this pattern. But Google and other leading sites have started placing their hamburger menus on the left so that those menus are among the first things a user finds on the page, even when he is using an assistive device like a screen reader. Google has begun to place hamburger menus on the left of the interface for many of its applications. 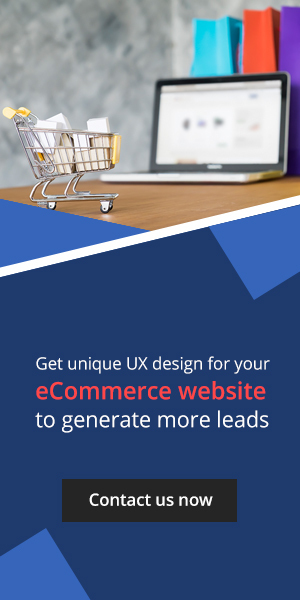 Thus every e-Commerce website development company is vouching over this trend. In 2017, eCommerce websites will be mobile websites. Designers have already begun to think of the site design as mobile and adapt that design to larger laptop and desktop screens. It can be expected that Google’s Material Design, which was built for mobile, to grow in influence. Hence, when we describe site design trends for a particular year, like 2017, we are actually focusing on the current state of website design and imagine what aspects of that current state will continue to grow in importance and the graph should be positive.